The Creative Thought Forum Annual President’s Lecture is $10 for members and $20 for not-yet-members. Nicholas Carr. Photo by Scott Keneally. New York Times best-selling author Nicholas Carr explores the development of the internet and the role it has played in shaping how we think, work, and live. Carr’s work often explores the impact of technologies, including smartphones, computers, and tablets, on our cognitive abilities and the potential troubles that arise from the expanded use of the internet. He was a Pulitzer Prize finalist in the category of nonfiction for his recent book, The Shallows: What the Internet is Doing to Our Brains. Carr’s 2008 book, The Big Switch: Rewiring the World, From Edison to Google, explores the cultural significance and the potential economic consequences of expanding use of internet-based cloud computing. SAR SALON: Friday, May 24, 2019 Salons are offered on the morning following each Creative Thought Forum lecture. The salon is an opportunity for a conversation-style gathering with the speaker for a deeper exploration of the lecture topics. Participation in the salons is limited to 25 people and is a free member benefit; advanced registration is required with priority given to Chaco level members and above. For more information or to register for the salon call 505-954-7231. Learn more about SAR’s Creative Thought Forum here. 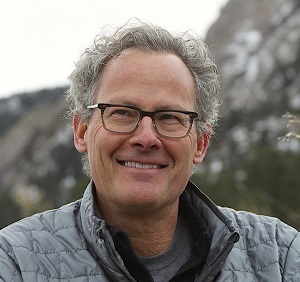 The Friday following the lecture, SAR hosts an informal salon discussion with New York Times best-selling author, Nicholas Carr. The salon is an opportunity for a conversation-style gathering with the speaker and provides a deeper exploration of the lecture topics. Participants will be sent a brief selection of readings prior to the event so that they can familiarize themselves with the speaker’s work. Participation in the salons is limited to 25 people and is a free member benefit; advanced registration is required with priority given to Chaco level members and above. For more information or to RSVP for the salon call 505-954-7231 or email archuleta@sarsf.org. If you would like to become an SAR member and receive free admission to lectures and other benefits, click here.